AvaTrade is a company that was launched in the year 2006 as a CFDs and online forex broker based in Ireland, Dublin. The company specializes in providing services of trade for commodities, market indices, bonds, Bitcoin, equities, and Exchange Traded Funds. Since the establishment of AvaTrade (avatrade.com), the company has rapidly expanded to serve almost 210,000 accounts worldwide. The company executes over two million transactions monthly. It always goes beyond the mark of $60 billion in total value.In this AvaTrade forex review we can see that Avatrade is a company with a focus that is customer oriented and a strong financial background which enables it to give their customers a full range of products and services. This is evident from the diverse platforms of trading that AvaTrade avails and have gained support from global support staff available in five days a week. Apart from the main centers in Ireland and Dublin, the company also operates other offices is some countries’ big cities like South Africa, Tokyo, Sidney, Nigeria, Milan, Ulaanbaatar, and Paris.In this Avatrade Review we will now analyze main characteristics of this broker. The company is regulated by Ireland’s Central Bank with other regulators that are well known including the Financial Services Commission and Australian Investments and Securities. The company is regulated tightly in areas like Japan with a number of agencies like Japan’s Commodities Future Association, Japan’s Financial Future Association and the Financial Services Agency. The broker has been able to meet the required of the regulatory agencies and other trading requirements since it was a beginner until now it is a trader that is experienced. • Japan’s Financial Services Commission – the Financial Futures Association of Japan (License No. : 1574). AvaTrade USA – Avatrade is not regulated in the USA. Reliability is among the biggest concerns of traders concerning a broker. This can be associated with the fact that the online industry of trading has been associated with scam traders for many years. Mostly, traders that are beginners are normally very careful to ensure that the broker whom they are being associated with is reliable and legitimate. For this broker, reliability is not a concern for traders anymore. AvaTrade is a broker which has been operating for more than ten years and therefore has established a good reputation in the online community of trading as a broker that is reliable and one with integrity. Also, the broker is regulated and authorized and complies with even the regulatory requirements that are the strictest . The broker is also in a position to offer its traders an environment that is regulated and safe which they trade with peace. The company specifically has authorizations and licenses from Jurisdictions like Japan, Australia, South Africa, European Union and the British Virgin Islands. AvaTrade has won various recognition awards since the year 2009 for its reliable record and its achievements. Best Customer Support, Best Financial Trading provider, Best Forex Trader and Best Alert System are just but a few of its awards since the year 2009. AvaTrade has made available several platforms of trading for its customers and this makes it the most attracting thing about the broker. The company’s customers have got a total of eight platforms of trading to select from. The broker has the MetaTrader platform for mobile trading, Mac, Floating spreads, webtrading and MetaTrader 4. The other platforms are automated trading platform and the AvaTradeAct platform. The platforms are also available for mobile phone devices. The broker supports the technology of iOS and Android as well. The customers or traders have a choice of between AvaTradeAct and MetaTrader platforms. For it to be suitable for beginners also, the broker provides automated trading which provides tools that can assist in improving the profitability of trading for the beginners. Those traders that do not have experience in trading can get platforms with automated trading to be helpful since they enable them to mirror or copy those trades that have been done by traders that are experienced. This is also helpful in boosting the level of confidence of the beginners making them engage more in trading activities. AvatradeGO is a trading tool for mobile trading that is highly customizable and simple which enables traders to make automatic trades as per the style that they prefer. For Mirror Trader, the client is in a position to mimic the transitions of traders that are experienced even without access to the computer. The tool allows users to select the amount of trading to be automated and the one to control manually. Zulutrade enables clients to convert recommendations of the traders that are experienced automatically into dreading decisions. MQL5 signal service enables a user to have access to one of the biggest communities of auto trading. It is an account which is given for free and allows a trader to copy from several signal providers globally after subscription . API trading is for those clients with strong skills in programming whereby they can develop their own customized solutions of trading and link them to the platform of AvaTrader securely. The broker gives its customers two categories of trading accounts. The first one is a standard trading account and the second one is a demo trading account. For a client to have a trading account, they have to have a minimum of $100 depending on the account currency. There are accounts which are swap-free for the Muslim traders that want to conduct trade as per the Sharia principles. For the traders that want to possess several accounts, the company provides a Multi- Account Manager account which comes with extra features. These include the capability to create several accounts of sub trading simultaneously, all the order types of MT4 like close, limits and stops, a minimum of 0.01 lots, multiple parameters of allocation, placement of orders for a number of clients that us unlimited and expert advisors. With this multi-account system, the trader is also in a position to have access to all information and can divide or separate client sub-accounts to manage the accounts sufficiently. AvaTrade has been providing the trading facility of cryptocurrencies since the year 2013. Initially, AvaTrade traders could trade Bitcoin on the proprietary platform and via the MT4 (MetaTrader 4) platform. With the popularity in cryptocurrencies, the company has several other cryptocurrencies in its portfolio of cryptocurrencies. Currently, there are eight cryptocurrency categories that AvaTrade supports. Avatrade Cryptocurrencies list: Ripple, Neo, Bitcoin, Dash, Bitcoin Cash, Litecoin, Monero, and Ethereum. Trading with CFDs is that it is affordable and has the ability to profit from a rising market and falling market as well. Trades can be leveraged by up to a 1:20 ration in addition to the facility of leveraging offered by AvaTrade. Avatrade bitcoin trading offer is one of the most interesting in the market. AvaTrade traders can trade different instruments with spreads that are floating or fixed. Some of the spreads for the most frequent currency pairs that are traded include EUR/USD, USD/JPY, NZD/USD, EUR/JPY, GPB/USD, Gold, and others. AvaTrade provides variable, fixed and floating spreads which start from 0.8 pips. The spreads of AvaTrade are among the internet broker markets most competitive. There are several categories of orders which are availed at AvaTrade and this includes limit orders, stop loss orders, trailing stops, entry stops, entry limits and market orders. The funds of clients are stored in accounts that are segregated for security reasons. Spread betting and hedging are allowed . Spread betting is a trading that is tax-free which entails placing both short and long spread bets on over two hundred different instruments of finance with a leverage of up to 400:1. This is available on the MT4 platform and can be conducted from a standard or demo account. It is exclusively available to Ireland and UK traders. The company’s trading accounts with debit cards, credit cards or wire transfers. Other electronic transfers of payment can also be used with AvaTrade through eWallets. These include WebMoney, PayPal, NETELLER, and Skrill. The methods of withdrawal are similar to the deposit methods. For a client to make a withdrawal request, they simply fill the request withdrawal form via MY AVA and follow a list of instructions provided. It takes around five days of business for the process of the request to be completed. There are also additional days for the entire process to be done and money to be deposited in the client’s account. For those that want faster processes of withdrawal, there is the option of applying for the Ava MasterCard which cuts the time of withdrawing significantly. The company provides a welcome bonus for those that sign up for accounts. The range of the bonus is between $100 and $10000 as per the deposited amount. The other bonus program is the referral bonus which is available for all traders. This is offered for every referral that is successful. Currently 50% avatrade bonus is the best promotion and offer from Avatrade till July 2018.. There are several conditions and terms which are subjected to withdrawing the bonuses offered. There is also a special program which is the select program of Ava that gives awards to those clients that make a minimum single $100000 deposit or those which go beyond this amount in volume trade with a number of special offering like special gifts, benefits, dedicated select hotline of Ava, express approvals of withdrawal and education programs that are tailored. Customer support is handled by a multilingual team of support representatives at AvaTrade. The customer support services are available twenty-four hours in five days and this ensures that the traders at AvaTrade get the assistance they need always . The traders at AvaTrade can communicate to the members of support through email, telephone, fax, live chat and social media. Among the best characteristics of the customer support of AvaTrade is that their support service is localized. There are several localized telephone numbers which the traders can take advantage of because of the cheap telephone charges. The company has a commitment to offer high end service. Therefore, they offer impeccable customer support services through Live Chat, e-mail, and local telephone numbers in almost 3 dozen countries. This makes it possible for almost every trader to reach the AvaTrade customer support in their own language. AVATrade customer care unit goes online for as long as the markets remain opened. It is available for 24×5 hours except the weekends. Along with corporate based HQ AvaTrade have also enlisted contact numbers of more than 20 locations spread all over the world that enables you to reach in your preferred language. Extremely responsive customer services are fairly assistive. In addition to the several benefits that a trader at AvaTrade receives, the traders are also entitled to access of a series of courses online, daily analysis and live webinars. AvaTrade offers education courses through SharpTrader.com and AvaTrade. The information is comprehensive and organized well. It covers several topics like economic indicators, Forex, commodities, and CFDs. A trader is allowed to select between the written courses and the video-based courses. The written coursed provide a deep analysis of the individual subtopics. The video-based topics cover the advanced topics and the beginner topics. Also, there are courses on technical analysis, trading tools, trading strategies and many more. The courses are also applicable to very trader regardless of the market they want to trade or are trading. The company also posts integrated live market news into the platforms of trading. The pros which are associated with the broker company include multilingual support, a generous bonus, regulated broker, and negative protection of balance, floating and fixed spreads availability and multiple choices of the platforms of trading. The cons associated with AvaTrade are; not having the best layout of a website, not having volume discounts, slow process of withdrawal and FAQ lack depth. All in all, the company does very well. AvaTrade gives several customizable and stable platforms of trading to its clients. These range from simple platforms like MetaTrader 4, AvaTradeACT to specialized ones like RoboX and DupliTrade. Since clients can have access to mobile applications, browser-based applications, and desktop applications; it attracts beginners and even the experienced ones as well. Beginners will find the educational opportunities and tools adequately comprehensive to get started. The traders who are seasoned will also appreciate the vast and flexible catalog of trading tools given by the platform of MT$. The company provides its clients access to several financial markets including commodities, individual equities, stock indices and Forex. An online broker, AVATrade has expertise skills that are applied to render award-winning performance and praising services in forex and also in Contract for Differences (CFDs). AvaFX in recent times has gained reputation as AVATrader. Many significant awards like “Best Broker”, “Best Forex Customer Service” and “Best Financial Derivative Trading Provider” are awarded to this popular brokerage service as available from 2009. With the noble aim of providing better and quicker services to the customers CFD broker and Forex decided to rename themselves in spite of their prominent presence as maintained in the markets as “AvaFX”. Emanuel Kronitz, Ava Group CEO said that launching of this new brand as recorded in the past records of the company happens to be a very important milestone. She further added that it ensures long-term availability of dynamic and diversified trading product range which stimulates and the major driving force behind the growth of Ava. What is your opinion ? 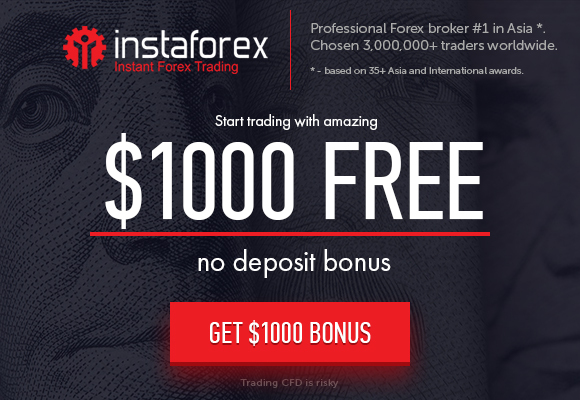 What do you think about $10,000 free bonus for new clients and this avatrade forex broker review and avatrade bonus ? Dukascopy bank started in 2004 in Geneva. Making it known as the Swiss bank. But, the firm has rooted in 1990. At first, it was only a project managed by a unit of physicists just to model the financial markets, but after sometime, the company has developed and grew. It has formed an online trading platform. It was in 2006 when the organization started its SWFX marketplace that run as an ECN. It has grown through time and it has expanded too in an international manner. The bank now owns the Dukascopy EU IBS AS. That is an accredited brokerage firm that actually offers different services using the same terms mandated by the Dukascopy bank. It was in 2015 when the firm bought ALpari in Japan which run it as the Dukascopy Japan Co. It has offices in various parts of the world too like Hong Kong, Moscow and others. It also offers online services for those who wish to do spot FX, precious metals, binary options, CFDs and others. They also offer online banking services, since they are being audited by the KPMG SA. Dukascopy EU is a associate of the Swiss Forex Group and it has an HQ in Latvia. It has been filled with features for traders. First, it has a fast execution through the in house built technology. They offer a direct access to those that offers liquidity and get the execution in just ms. They also offer tight spreads through the use of ECN liquidity. The Dukascopy offers spreads for as low as .2 pips on Euro and USD. They also offer an in depth marketing in which the traders can keep an eye in the market depth. Equal trading rights will be enjoyed by every traders. They will be given an equal treatment when it comes to the spreads and liquidity. Dukascopy gives 3 primary trading platforms along with 3 mobile traders. The broker has made its very own platform which is now called the JForex. There is a web based kind of platform along with a Java kind that the traders can use. The Mobile traders who are using mobile or hand held devices such as Apple and Android. When it comes to the spreads, Dukascopy offers some of the most interesting spreads in terms of retail Forex business, particularly for some of the primary currency pairs. Dukascopy uses a lucid pricing model which comes with a low spread and a commission that is added on top of it. The spreads will normally float based on the market conditions and will widen up a bit during the news events or by the end of the trading sessions. The tight variable spreads along with a reasonable amount of commission will be provided too. The Micro lots are acquirable for the trade and in all of the proceedings will be executed in an automated manner on the ECN for whatever the size maybe. What Dukascopy EU offers ? It is typical for the Dukascopy EU to come up with the number of freebies coming from the mother firm. The ECN trading via the Swiss Forex Marketplace is the one handling the transparency, seamless and secured operation and defrayment to and from the trading account. They are the one handling the webinars, seminars and even the trading and the FX related contests. There are some dissimilarities in between the 2 firms through. Moreover, the Dukascopy Bank which is mandated by the Swiss FINMA for both banks and securities dealer, the practices which are consolidated supervsion over the Group entities makes sure that enough liquidity that includes the risk and the capital involvement in a group level is appropriate. The Group also has a Japan based unit. That came from the Alpari Japan in 2015. When it comes to the trading conditions, deposit for live account opening with Dukacopy Bank for Swiss and China residents is 1000 USD or equivalent. Min. deposit to open an account with Dukascopy Europe is 100 USD or equivalent. That is a minimum margin for the FX market. To compare with, the clients of the Dukascopy Bank needs $5,000 to get started. When you compare maximum allowed leverage, the Swissquote EU as well as Dukascopy Europe will both have an opportunity to have leverage higher that 1:100. When it comes to the trading platforms, the company offers you a lucrative type of trading platform which is the JForex. That will give you enough access to the Swiss FX marketplace. That is availability for mobile and for PCs too. The platform is especially made for traders who are very much fascinated in automated trading or in the developing as well as testing trading techniques that are based on programming language of JAVA. There are some tools and features that the platform offers. That includes the following. 1. There are more than 250 indicators as well as chart studies. 2. There are also calendar of news and economic events as well. 3. They have an automated trading on user’s machine or what they call the strategy server. 4. They have automated trading historical tester. 5. They have the figure as well as the line breaker charts, they also have range bars and points that the users can use. When it comes to the Dukascopy EU trading accounts, the customer support through phone, Skype and email is being provided. More over, it gives live trading support through telephone 24/5. They offer a minimum account which is $100. The funds that maybe used is a bank wire transfer, and others. The account currencies that they offer comes in different varieties like the Japanese yen, AUD, Canadian dollar, NZD, RUB and others. However, there is no withdrawal commissions being offered. The personal account manager is multilingual, that means there will be no language barrier if you will be needing help. To sum it all up, Dukscopy EU is a part of the Swiss FX Group. They give access to the Swiss ECN FX Market through the modern Dukascopy SWFX. They offer a unique trading framework for persons and for professional traders too. However, the investment companies may also benefit from them. One of the advantages when trading is the availability of the liquidity which will be turned into small spreads. The traders may also trade around 25M USD in just a particular click of your fingers. They also give personal trading conditions to ordinary retail FX traders. That simply mean that the minimum account size is not more than $100, the fun of the account is available in the simplest forms and opening an account is just fast and simple. Compared to the other brokers, the Dukascopy EU will not assist the famous MT4 platform. But, the customers are allowed to use the 3rd party providers to bridge the MT4. The broker also offers the probability of the API combination for professionals in trading. These people are those who will be rendering around $100,000. The company’s API is based on the FIX 4.4 protocol. It will be used to get a real time data feed and to be able to submit the orders and be able to set, improve and to cancel the orders and be able to get some automated notifications too meant for trading activities. When it comes to the payment, the users can deposit and withdraw from their accounts through bank, debit cards, those with credit cards and bank transfer too are honored. Dukascopy Europe offers e-wallet – Dukascopy Payments. FxPro is the leading online CFDs and forex trading platform which was launched in the year 2006 and has its headquarters in the UK. The company is owned by the FxPro group and manages and operates the company through various subsidiaries around the world. 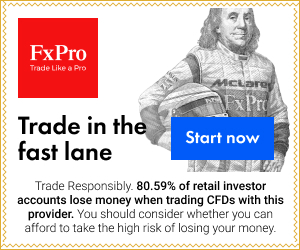 FxPro is a company which specializes in offering online services of trading twenty-four hours in a day and five days in a week to financial markets. A trader can trade with over 250 financial instruments across up to seven varieties of asset classes. FxPro is a company with full service and has a management of six members They have an excellent customer support service with connections and telephones to more than twenty locations. This makes it easier for the traders that are associated with FxPro. From its name, people may think it is a program only for the pro users. But, when you start to use it, you will find that it is for all types of users starting from the beginners to the experts. The leverage ratio can be fixed 1:1 as a minimum and it can be increased up to a maximum of about 1:500. FxPro is offering a demo account in order for the users to analyse whether FxPro is what the users are looking for or not. Established in 2007, FxPro has its headquarters located in London, UK. If you want to trade with FxPro, you need to open an account with at least $500 in your account. The least volume that you can deal with FxPro is 1 micro lot, but you can leverage 500 times the money you have deposited. FxPro is multi lingual with many languages like german, Chinese, Japanese, English, Spanish and so on. Cysec, Asis, Mifid and FSA have regulated FxPro for trading. Minimum deposit is $100. FxPro approved and managed by the Financial Conduct Authority. The FCA is an autonomous body that is non-legislative yet has statutory forces by UK’s Financial Services as well as Markets Act of 2000. FxPro is likewise approved and managed by the Cyprus Securities as well as Exchange Commission as well as accomplished the “Speculators in People” Standard. The company is regulated by different authorities in different jurisdictions. For instance in the United Kingdom, the platform is regulated by FCA (Financial Conduct Authority) of the UK and managed through FxPro UK Limited. For the Europe operations, FxPro is managed by an investment firm called FxPro Financial Limited and regulated by the Exchange Commission and Cyprus Securities. In South Africa, the company is regulated and permitted to operate by FSB (South Africa Financial Services Board). In the Middle East, the company has an operation under a subsidiary by the name FxPro Global Markets Limited. It is located in Dubai and regulated by the Financial Authority of Dubai. Globally, FxPro is regulated by the Bahamas Securities Commission and managed by FxPro Global Markets. The broker firm has proven to be a reliable and professional company for the years it has been operating. The huge numbers of users who have signed with the broker firm prove the reliability of the company. Also, the broker firm has also won a number of recognitions and numerous awards for the services of high quality that it provides its clients. Research shows that there is no other broker company which is close to the achievements of FxPro. As an assurance and further evidence of reliability, traders from the Middle East and the UK are protected by the Scheme of Investors Compensation in the UK and FSCS (Financial Services Compensation Scheme) in the Middle East. Trading with a broker that clients can rely on is important for success. There are scams and frauds in the industry of forex trading. The broker firm maintains the biggest regulatory independent database which is made available on their website. The company has created a 1 to 100 proprietary score of trustworthiness that they call the trust score. The broker firm is a strong supporter of fairness and transparency in the industry of forex trading. FxPro has made efforts to ensure that conflicts are eradicated between a client and a broker. The broker firm is committed to giving its customers and traders with full support and reporting. The company posts its slippage statistics on their websites on a monthly basis. The traders are allowed to select between market execution and instant execution. This is a characteristic that is not provided by most brokers of forex. The broker firm also has execution technologies and order matching technology that is upgraded constantly. There are 8 different trading platforms that are associated with FxPro. Four platforms are being dedicated by FxPro for smart phones. So, if you have an iPhone or an android phone, you can install FxPro’s trading platform in your device and start trading. The web trader platform and the MT4 platform offered by FxPro can be selected by you and our review is based on these two platforms. If you are a beginner with respect to trade, then web trader will be the best platform for you. This is mainly because; this platform will not confuse beginners with more charts and trend graphs. Another important aspect of FxPro is that, you do not need a platform that is downloadable in nature but you can trade with any PC and you can also switch between different platforms with much ease. Any coin has two sides and so do the web trader platform. The web trader platform is too much crowded and it is also intuitive in nature. The shapes that are present in web trader are partially covered and partially not. But, I the user want to resize the shapes, it is also possible. Also, if you want to use cTrader platform, you can switch to it very easily. 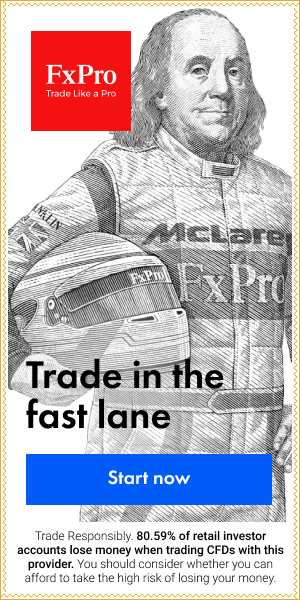 The traders that want raw speed to trade with, this is the right platform. This type of platform is provided by FxPro for such traders. It is made for ECN type of trading. It also allows traders to be in a position to access other markets with different rates such as interbank rates. The other main future of the platform is that it is capable of supporting viewing of market depth and algorithmic trading. This is considered as a trading platform that is standard for the industry of online forex. This is contributed by the fact that most brokers in this industry have implemented this platform of trading. Numerous traders across the world prefer this platform of trading due to the comprehensive tools and features which have been integrated to MetaTrader 4. For instance, the platform supports several languages. This feature allows traders to use their preferred language in customizing the user interface. Another strong feature of MetaTrader 4 is that it supports several types of orders. However, the strongest feature of this platform is that it can be able to support automatic trading. With the help of advisors who are experts, a trader can program MT4 to automatically execute trades depending on the parameters of trading. This is considered a version of MetaTrader 4 which is updated. It is almost the same as MT4 and has got equal strength to MT4. The difference is that MetaTrader 5 has got features which are upgraded. For instance, MetaTrader 5 is able to support extra timeframes. It can also give traders depth information regarding markets. With the growing ownership of smartphones, it is obvious that traders will turn to smartphones for trading the financial markets. In order for FxPro to cater for the trend that is emerging, it has given the opportunity to traders by giving them trading platforms that are optimized as per their mobiles. The trading apps for mobiles can just be downloaded from Apple App store or Google Play store with no fee charges. The traders of FxPro can trade directly using their hands and from their hands with the apps installed on their mobile phones. These markets are geared towards those traders that want to directly trade the market using their mobile devices or computers and do not have to install or download any program or software. One of the advantages and strongest features of this platform is that it allows a trader to do more than one task on the platform at the same time. A trade is in a position to trade, fund and manage his account from the same screen at the same time. FxPro offers an ocean of features so as to assist its traders with which you can make your trading experience much fun. It is a known fact that images talk a lot than text. But they have moved one more level and talking through videos, which can make your job much easier. All these videos are available in their web site using which; you can understand all the basics of forex in a jiffy. The loading time of these videos are kept under their control in such a way that you can see the videos loading faster than all other web sites. While you can have a wide range of trade leveraging options in FxPro, you also have an option with which you can trade without spending even a penny as commission. FxPro puts a lot of efforts in providing competitive spreads to its users. Technical analysis, reviews from trading experts, news with respect to forex are few of the add ons that are being provided by FxPro. The good news is that, all these add ons are available in all the platforms and not just in their web site. Even though FxPro’s features are not unique to it, it is acceptable by most of the traders. A trader can trade the CFDs and spot forex with FxPro. The asset classes are market indices, futures, commodities, and stocks for CFDS. The markets currently cover 20 future contracts, 2 precious metals, 29 market indices, 3 energy commodities, 70 currency pairs and over 160 stock types. The company has got a balanced offering regarding its range of markets, trading assets, and pricing options. It caters for those who have developed or those that use trading systems that are automated and the beginners. The company provides a version of MetaTrader 4 that is web-based and is able to be accessed through all web browsers that are Java-enabled. The web-based cTrader platform at the broker firm has advanced tools of charting with a smooth design of the layout. This layout features only narrow spreads with pricing that is commission-based. The cTrader web version leverages the technology of HTML 5 for its layout that is responsive and simple to navigate. It is seamless to move across the platform’s sections and navigate the categories possessed by the platform. The cTrader desktop version runs on Windows 10 smoothly and has a trading functionality that algorithmic through its feature of cBots. It also has ideas of trading displayed within the charts as visual targets. This platform version has more features as compared to the version that is web-based. The features include equity charts, journal tabs and trading statistics within the default layout platform in the right bottom quadrant. FxPro has a stand-alone tool called Quant which is a wizard strategy that allows traders to create automated strategies for trading with a drag and drop feature. The feature might be complex but it is easier as compared to learning the process of coding a strategy. This, therefore, serves as a great gateway for clients that want to create their own strategies and systems. Customer service is the key to success and FxPro has understood this to the core. The customer care executives of FxPro are professionals. But, they are also very patient in such a way that they will try to explain things to you even if you ask a very basic question in lay man terms. The user interface designed for registration process is awesome, as it takes you to the specific place if you forget to fill in some information.You can try fxpro direct The frustrating part with FxPro is the account verification procedure as it is somewhat confusing in nature. FxPro allows you to transfer your currency from Skrill (moneybookers), Paypal and neteller online accounts and using your credit card and net banking. Being a start up, it is really difficult to improve its trading amount to cross $589 billion and FxPro has done it very easily in the first tw quarters of 2011. The three major accounts of FxPro include premium accounts, standard accounts, and demo accounts. This account is provided for free at FxPro for the traders that want to try the platforms of FxPro without any expenses. It has a $500000 virtual balance. Using the demo account, a trader is able to access a variety of platforms like MetaTrader 5, cTrader and MetaTrader 4 (fxpro mt4 download free). The standard accounts have four different subcategories including FxPro markets, FxPro cTrader, FxPro MT5 and FxPro MT4. For FxPro MT4, the minimum deposit is $500 and the leverage is in a ratio of 1:500. The instruments for this account include metals, indices, energies, futures, and forex. It is supported by expert advisors and has market execution. The FxPro MT5 allows a minimum deposit is $500 and the leverage is in a ratio of 1:500. The instruments for this account include metals, indices, energies, futures, and forex. It is supported by expert advisors and has instant and market execution. The features for FxPro are the same as for FxPro MT5 cTrader which are a leverage ratio of 1:500. The instruments for this account include metals, indices, energies, futures, and forex. It also has instant and market execution. The only difference with FxPro MT% is that it is supported by cRobot and allows a minimum deposit if $1000. For FxPro markets, the minimum deposit is $500 and the leverage is in a ratio of 1:500. The instruments for this account include metals, indices, energies, futures, and forex. The premium accounts allow investors that have at least $50,000. The holders of premium accounts get to enjoy some added benefits which the holders of standard accounts do not enjoy. However, what attracts most in premium accounts is that it has lower spreads which traders that have accounts with it get to enjoy especially when they trade using big volumes. 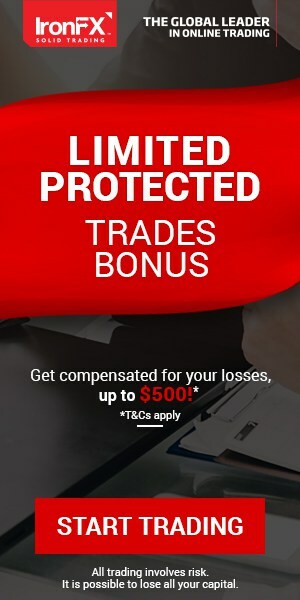 The pricing can be compared to competitors like Saxo Bank, FXCM, Forex.com, IG and OANDA in their offerings of standard accounts but the traders that are involved in larger deposits and higher volumes might want to get pricing that is more competitive at platforms which are available on Saxo Bank, FXCM, Forex.com and IG. Otherwise the MetaTrader 5 spreads can be compared with those offered by CMC markets, Plus500 and OANDA even though there may be differences concerning the execution model and the account type. Generally, with instant execution and market execution available, a client has got more options regarding fees and commission at FxPro which assists the broker firm caters for a variety of forex traders. The broker firm has made its platform to support six methods of payment. One can make a withdrawal or a deposit using PayPal, Skrill, UnionPay, Credit Cards, Bank Wire Transfer, and Net Teller. Withdrawals take a maximum of a single business day for processing and they are completely free. However, the entire process of withdrawal can take up to five days of business to be completed. FxPro does not provide any promotional offers or bonuses because of its regulatory requirements currently. There is a trading academy for FxPro which is made to teach the forex trading basics to those who are starting out and assist them in preparing for the challenges which are involved in trading in the current world of currency markets. FxPro has got a video library that is extensive and provides insightful and short videos regarding the topics basics. The videos are aimed at improving the overall performance of trading of an individual. The videos also load in a fashion that is timely, unlike other forex videos which are available on websites of other brokers. The videos also include general strategies for trading and some tips on how to use the platform of trading. The platform also offers an economic calendar which educates a trader and helps them to plan their day of trading. The traders can be in a position to view all reports about the economy. The broker firm gives daily updates on their blog. The updates have got content that is rich from the analysts that work for the company. It also has got news that stream in the platform from the newswire of Dow Jones. The research at FxPro is robust. The broker firm combines research from a variety of external providers with its in-house research and content and integrates it in its trading platforms. The broker firm has Trading Central which a leading research and news provider that creates automated solutions of pattern recognition that are availed on MetaTrader 4 as a plugin and cTrader platform. The company also used to provide Auto Chartist but it was discontinued in the year 2017. The companies which can be compared to FxPro in terms of the content breadth and in-house research include IG, Saxo Bank and CMC markets for the providers of multi-assets and FXCM, GAIN, OANDA for the content that is forex related. FxPro has a comprehensive customer support. The support team is available twenty-four hours in five days in a week. They can be reached by mail, telephone, live chat and other means. In order for the broker firm to handle their diverse base of clients, the support service is localized and multilingual. There are over 30 countries that are currently supported by its customer service on a localized level. • It has a wide choice of trading accounts. Generally, there is something for every trader at FxPro and this is what makes FxPro easy for the traders of forex. The features of FxPro are not specifically unique but they are given and presented in a manner that they are professional and helpful and serve different categories of traders adequately. It is a known fact that FxPro offers a customer service that is being considered as the best customer service among the forex trading consultants. The bases established by FxPro for the purpose of providing customer service to its customers is spread across 22 different countries and you can request a call from them for any support on a 24/5 basis. If you browse the contact us section of the web site of FxPro, you can get access to the contact details of all the departments which includes their e mail ids and contact phone numbers. This makes you to be very much sure that you are reaching the right person for the right concern. For the purpose of checking their customer service, we tried to contact them using the contact us form that is being provided by them in the contact us page. And to our surprise, they have responded with a prompt response within 20 minutes of our query reaching them. The chat feature that is present in their web site is also working great with a person always waiting to answer your queries. Even though we tried to confuse the customer care representative with a complex query, the query was transferred to the technical team and we have got the exact response to our query in no time. This is the fastest ever response that we have ever got from any customer care executive. FxPro provides many features that are intended for simplification of the trading experience. We find their extensive video library engaging as it provides short and perceptive videos about general topics, aimed to improve the trading performance. The videos are loaded in no time. The videos are about general trading methods and techniques, not only about how to deal with the trading platform. During the FxPro review, spreads of the company are listed clearly and what we appreciate is the company’s effort to provide competitive spreads. MT4 traders are able to enjoy trading EURUSD from 0.6 pips spread with the leverage up to 1:500 and fee-free trading. cTraders have the ability to enjoy comparable spreads with up to 1:500 leverage. MT4 traders can benefit from the use of expert advisors and fractional prices. FxPro also provides regular trading tools like Forex news and technical analysis. The majority of these are within each platform and not on the website of FxPro. Finally, it provides classic calculators like margin calculator, pip calculator, and currency converter. At the end, FxPro’s characteristics are not especially rare and unusual. However, they were displayed in a professional and useful manner that can be helpful to any kind of traders sufficiently. I like trading platform, live chat and excellent support, easy way for deposit and money withdrawal. Based on my last research (section about top forex brokers on ranking list) Fxpro is the best forex broker based on visitors poll. Last several years, this forex broker is example of trust, excellent communication, great tools and tight spreads.